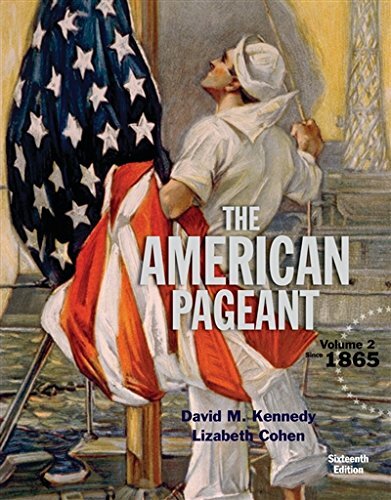 1305075927 -THE AMERICAN PAGEANT enjoys a reputation as one of the most popular, effective, and entertaining texts in American history. The colorful anecdotes, first-person quotations, and trademark wit bring American history to life. A new feature, “Contending Voices,” offers paired quotes from original historical sources, accompanied by questions that prompt you to think about conflicting perspectives on controversial subjects. Additional aids make the book as accessible as it is enjoyable: part openers and chapter-ending chronologies provide a context for the major periods in American history, while other features present primary sources, scholarly debates, and key historical figures for analysis.